Bernie Sanders and supporters at a primary campaign rally in 2016. A timely, freely downloadable ebook, Socialist Strategy and Electoral Politics brings together new and previously published writings on socialists, strategy, elections, and power in the midst of an ongoing left electoral insurgency in the United States. Activists and scholars from across the socialist left grapple with politics in the wake of the Donald Trump's election and the surprising popularity of Bernie Sanders' primary campaign in 2016, as well as the failure of center-left parties across the world to halt the ascent of right-wing populism. While their contributions push, probe, and often challenge one another, all contributors seek to help the left understand where it should go from here, and inspire those not yet organized and active to join the socialist movement. Charlotte Heltai's introduction to the book is reprinted below. Just after the November 2018 midterm elections, with the far-right authoritarian Jair Bolsonaro newly elected president of Brazil and fascist and far-right groups continuing to grow in confidence and influence across Europe and the US, Democratic Party standard-bearer Hillary Clinton suggested that European political leaders should curb immigration in order to stop the rise of right-wing populism. Recently re-elected House Speaker Nancy Pelosi, meanwhile, celebrated the Democrats’ midterm election gains by doubling down on the need for bipartisan cooperation with Trump’s Republican Party. It has surprised few on the US left that the Democratic Party—purveyor of war, incarceration, and austerity—has failed to answer Anderson’s challenge in the two years since Trump’s inauguration. Nor has it been unexpected that the Democratic Party establishment has learned little from Clinton’s 2016 loss to Trump or Bernie Sanders’ sustained popularity for attacking a system rigged in favor of “the millionaires and billionaires.” Instead, as Matt Karp and Kim Moody describe in this collection, powerful Democrats continue to look to moderate suburban voters and corporate donors to return their party to power. This is, at least partially, because the US liberal establishment has no explanation for the 2016 presidential election of Donald Trump, and no programmatic answer to the growth of the far-right in the United States—much less internationally. In contrast to liberal obsessions with the specter of Russian interference, public apathy, and Jill Stein voters, socialists and other leftists have been able to offer a framework through which to understand the 2016 presidential election results. They point to a long, bipartisan, history of the deliberate weaponization of race by both governing parties; the disaffection of millions of working and poor people who have been abused by both Democrats and Republicans in office (and who were, even if eligible, most likely not to have voted for any candidate in 2016); and, critically, the lack of a viable left-wing explanation and program to counter the right’s racism and economic nationalism in the face of miserable conditions, particularly acute for working people following the financial crisis of 2007–2008. Unlike the liberal establishment, therefore, the left has been able to clearly see the context for the successful combination of Trump’s macho bluster, racism, misogyny, isolationism, and empty “anti-establishment” sloganeering—especially appealing to affluent white voters, a dominant electoral demographic. For the same reason, the organized left—though still relatively small—is the only force positioned to challenge this toxic mixture. As Anderson put it, the left “cannot afford to be less radical in attacking the system, and must be more coherent in our opposition to it,” than the rising far-right. Fortunately, the left is rising too. 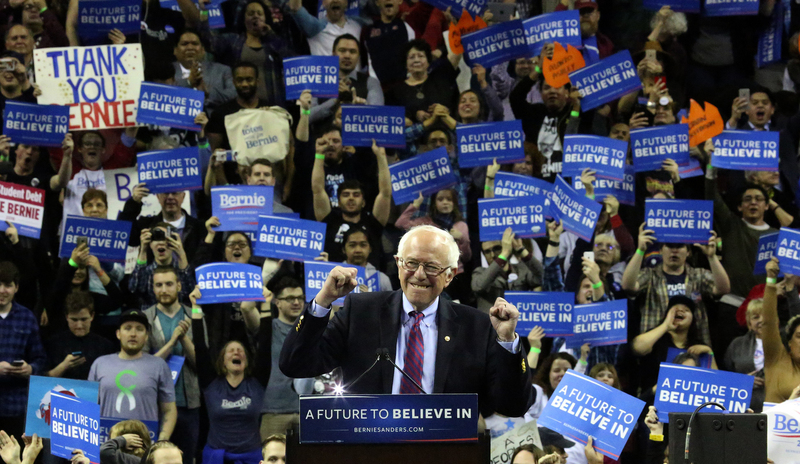 The 2016 Bernie Sanders campaign—and the DNC’s heavy-handed attempts to neutralize its threat to their anointed candidate, Clinton—not only popularized and legitimized a version of “socialism” in the popular consciousness, but, to some degree in spite of Sanders himself, spurred the growth of an organized socialist movement which for several generations prior had languished at the margins of the political landscape. Bernie endorsed and campaigned for Hillary, to be sure, but many of his supporters (even those who voted for Clinton in November 2016) were not satisfied to go back to politics as usual after their involvement in Bernie’s “political revolution.” Tens of thousands of them, many of whom had also participated in any number of formative social struggles during the Obama years, have now joined explicitly socialist organizations. In the wake of the socialist movement’s rapid growth, described by Meagan Day, Kshama Sawant, and others in this collection, and the victory of insurgent “democratic socialist” candidates in the 2018 midterm elections, socialists face both new and old questions about strategy. While the questions are many, their premise is shared: the small, fragmented, and beleaguered socialist movement which survived four long decades of one-sided class war is finally resurgent in numbers, visibility, and hope that another world may, in fact, be possible. This rapid renewal has bred urgency: the feeling that, finally on the ascent, socialists must be ambitious and dynamic in their approach. For all its horrors and in part because of them, it seems that the possibilities of this political moment—to offer a left alternative to disaffected working people in the face of liberal inaction and right-wing reaction and to marshal the solidaristic outlook of a debt-ridden generation into socialist organization—may not last for long. Simultaneously, however, the socialist resurgence is dogged by the knowledge that it remains, compared to the population of the US and the powerful defenders of capital arrayed against it, pitifully small. The left is only at the very beginning of rebuilding and reknitting the socialist and labor movements together, much less assembling a truly mass, multi-racial force committed to combating all forms of oppression and exploitation. This recognition demands sobriety. It begs a cognizance of the fragility of new left alliances and formations and underlines the importance of bolstering this just reborn, heterogenous movement in which recently converted socialists (happily) far outnumber veteran radicals. The challenge, therefore, is how the socialist movement can chart a way forward that opens more possibilities than it forecloses, that facilitates it becoming rooted in the multi-racial working class, and that develops its political coherence, its fighting strength, and its ability to pose an ideological alternative to thriving forces of reaction. While the electoral arena is only one among many in which political goals can be pursued, how the socialist movement understands and relates to electoral politics is vital to these tasks. This is both because of the role democratic socialist campaigns have played in catalyzing its revival and because of the degree to which people in the US are conditioned to think of elections as totally encompassing of politics—whether they engage with them or not. With the first crop of post-Trump, democratic socialist legislators just sworn into office and the 2020 presidential primary season beginning in earnest, socialists across the country are debating how they should approach and participate in the ongoing electoral insurgency, rife as it is with both potential contradictions and opportunities. The present centrality of electoral questions demands that old debates—about the Democratic Party, about reformism and revolution, about organizational forms and class, about the nature and history of bourgeois democracies, about power and the state—are revisited with new eyes; and that new arguments and strategies are discussed, evaluated, and—most importantly—attempted. Socialist Strategy and Electoral Politics does not seek to put forward any single answer, or set of answers, to these questions, nor does it aim to be exhaustive. Instead, it brings together a limited spectrum of reflections on US socialist strategy and electoral politics from across the socialist left, some pieces historical, others topical, others more polemical. Some are republished from Jacobin and other left outlets, others have been revised and updated by their authors for inclusion in this collection, and others still have been composed specifically to be presented here. The pieces collected in this volume do not all sort neatly into opposing sides of a single debate. But, when taken together, they do push and probe one another, each posing new questions, emphases, and—in some cases—challenges to the others. If there is one argument which runs through the collection, it is this: for the socialist left, to ask “who can we elect to office?” is never sufficient. Socialists must always ask by what means, and for what purpose do they participate in this (or any) election? How might their movement grow or ideas spread through their involvement in this campaign? Which horizons may be foreclosed, or collaborations deferred, by its prioritization over other areas of organizing? And always underlying those strategic or tactical considerations, the question remains: what, for socialists, does “winning power” for working and oppressed people really mean? What happens after socialists win office, and how does it relate to that hazier and more distant design? As the authors here collectively argue, questions of political strategy are always bound up with questions about political futures and political vision. 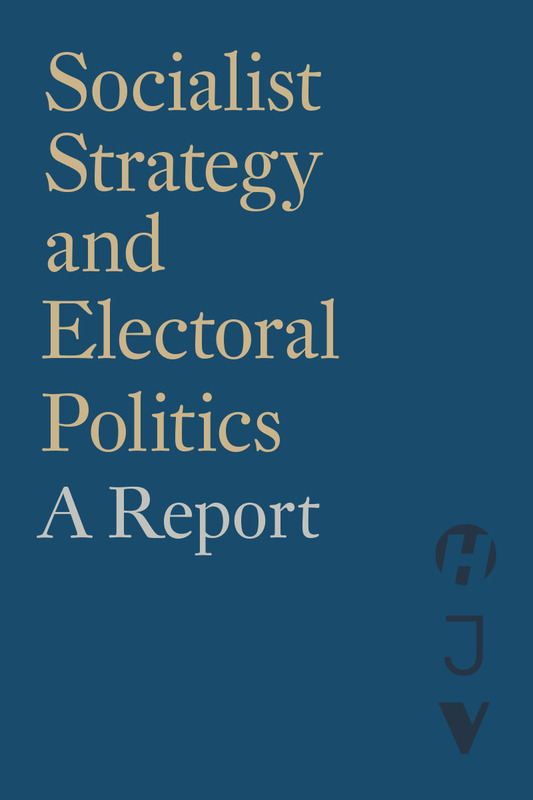 Whether with regard to the use of the Democratic Party ballot line, how to achieve accountability between candidates and movements, or the relative weight socialists should place on electoral initiatives compared to other types of organizing, the activists, journalists, and scholars represented in this volume engage with strategic debates in an effort to put forward arguments about how to build the socialist movement, cultivate working-class power, and ultimately transform society. The entire purview of this collection is therefore only one vector of entry into a more expansive question: where do we go from here? And how will it move us toward liberation? A reborn left, eager to act and for its actions to be felt beyond its still too constricting borders, requires the space for debate and the tools for study. We hope that this collection is able to create a little more space, and offer a few more tools, to a socialist movement endeavoring, as Anderson urges it, to be more radical and more coherent, and therefore more effective, than its enemies—be they in the White House or in white hoods. Download Socialist Strategy and Electoral Politics for FREE and read all our books on our Socialists and Electoral Politics in the Trump Era reading list.